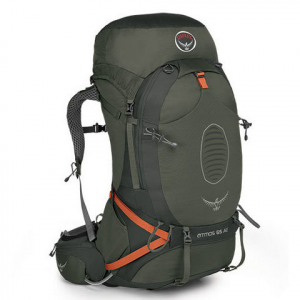 The Osprey Atmos AG 65 Backpack is an ideal choice for multiple day excursions. Featuring a sleek design that features Osprey Anti Gravity (AG) technology, a full back panel of anatomical mesh for ease and comfort on the trails. Store up to 50 pounds in this pack thanks to the upwards of 68 liters of space for your long weekend in the great outdoors.